The exhibition 'Carmen Herrera: Lines of Sight', opening at the Whitney Museum of American Art in New York, NY on 16 September, features more than fifty works by Carmen Herrera, including paintings, three-dimensional works and works on paper. Comprised of three sections, organised in rough chronological sequence, the first section features earlier works from the formative period, 1948–1958, during which Herrera experimented with different modes of abstraction before establishing the visual language that she would explore with great nuance for the succeeding five decades. Featuring more than a dozen paintings made while Herrera lived in Paris (1948–1953) in the years following World War II, many of these works have never been displayed before in a museum. It was during this period that Herrera developed her distinctive style of geometric abstraction, moving towards cleaner lines and a reduced palette. An unprecedented gathering of works from what Herrera considers her most important series, Blanco y Verde, comprise the second section and this room will serve as the centerpiece of the exhibition. The nine paintings from the series, spanning the years 1959–1971, illustrate the groundbreaking ways in which Herrera conceptualised her paintings as objects, using the physical structure of the canvas as a compositional tool and integrating the surrounding environment. These Blanco y Verde works will be isolated in their own gallery, illuminating the various compositional twists and inflections of the dichromatic works and creating a dynamic interplay of visual correspondences. The final section will feature work dating from approximately 1962–1978, illuminating Herrera's continued experimentation with figure/ground relationships. Also included in this section are four sculptural works, which Herrera refers to as "estructuras." These wooden works, alongside several drawings from the 1960s, will illustrate the crucial architectural aspect of her vision and the way in which many of Herrera's paintings begin with a three-dimensional concept. The latest works in this section will be seven vivid paintings that comprise her brilliant Days of the Week series from 1975–78. 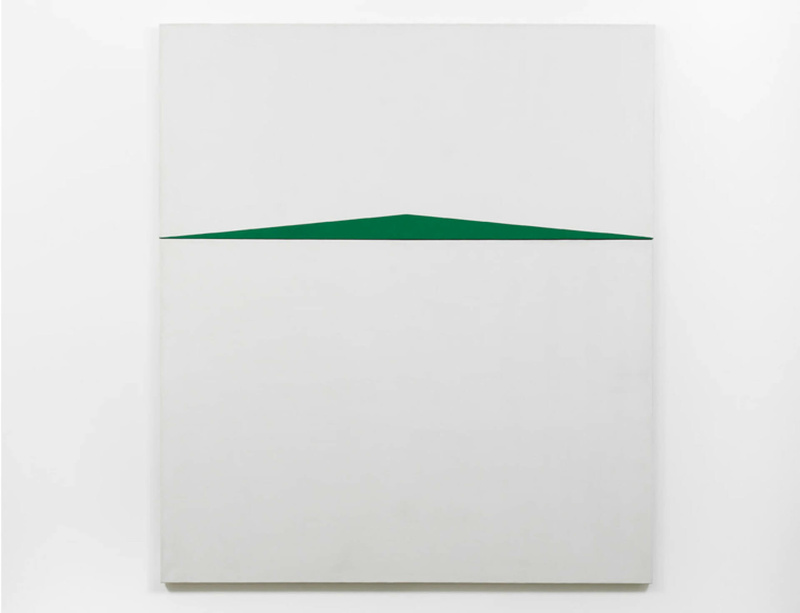 'Carmen Herrera: Lines of Sight' is organised by Dana Miller, former Richard DeMartini Family Curator and Director of the Collection at the Whitney Museum of American Art. The exhibition will also be on view at the Wexner Center for the Arts in Columbus, Ohio, from February 4 through April 16, 2017.